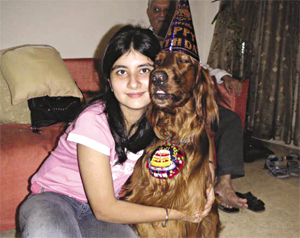 Q: My 10-year-old Rottweiler Tarzan has developed a mole between his paws – it was operated two years back but now it has grown back again causing him pain. He has other moles on his body- but the one on his paw makes him limp. Please advice. Dr KG Umesh: Neoplastic or non-neoplastic disorders may cause growth between fingers in senior dogs. If the growth has come back, your vet may consider doing a biopsy that will be sent to a laboratory for analysis by a pathologist. This will help determine the type of growth, and whether or not it’s malignant/cancer. Bear in mind that not all growths are cancerous. Therefore I would suggest biopsy to identify the underlying cause. There are no specific preventive measures available for warts/moles. 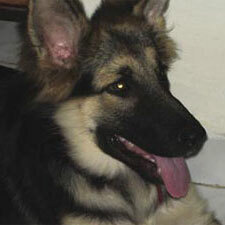 Q: I have a German Shepherd named Radhe who is four months old but his ears are not standing properly. Also do advice me on the food to feed him and any tips for his care. Dr KG Umesh: If there are no signs of ear infection or deformity, this can be considered ‘normal’ and many a time they become erect as ear cartilage becomes tough. Wait and watch until he grows to an adult. A nutritionally balanced diet is crucial for the healthy growth and development of a puppy in order to prepare him for an active, long and healthy life. The best idea is to get your puppy used to eating commercially prepared foods from the very start. The advantages of reputed commercially prepared foods are that they meet all a dog’s nutritional requirements and they don’t require any food supplements including calcium. Other activities such as exercise, training, grooming and regular visits to the veterinarian are equally important to keep your dog happy and healthy. 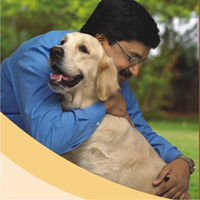 It is recommended to have deworming and booster doses for all vaccinations including rabies. Q: Just bought a three-month-old Labrador puppy. We stay close to forested area, the other day I noticed a leech on my puppy, was advised to rub salt and take it off. Do let me know if this is fine. How do I protect my puppy from such parasites? Please also give some inputs to prevent snake bite and first aid for the same. Dr KG Umesh: Most recommend is using a fingernail to break seal of oral sucker and some unapproved measures include use of flame, salt, soap, or alcohol, vinegar, lemon juice, insect repellent etc to detach. After removal or detachment, the wound should be cleaned with soap and water, and bandaged. Keep dogs on leashes and closely supervised when in known snake habitat. In areas of known snake abundance, snake avoidance classes can be offered to teach dogs to avoid contact with snakes. First aid measures to be avoided include ice, incision and suction, tourniquets and hot packs. The effects of snake venom are time dependent; any delay in initiating medical treatment is deleterious to the patient and may result in complications that cannot be corrected. Recommendations for first aid in the field are to keep the victim calm, keep the bite site or limb elevated or at heart level if possible, and transport the victim to a veterinary medical facility for primary medical intervention. The patient should be hospitalised and monitored closely for a minimum of eight hours for signs of envenomation. Q: Sugar, my 11+ years old mixed Pom, is causing me concern. She sometimes shivers or trembles even in summers. Please help. Dr KG Umesh: As well as cognitive and physical changes, it is not uncommon for pet parents to notice behavioural changes in their dogs as they age, such as changes in their food or bedding preferences or toilet or sleeping habits. Due to these changes, the care of elderly dogs may need to be adapted to take account their different needs. Shivering or trembling in a senior dog can be result of pain (mild slipped disk, pain in organs or joints, etc) or simply can be a sign of endocrine problem. Please take her to your vet to find underlying cause. Some senior pets undergo anxiety, signs include trembling, salivation, pacing, vocalisation, destructive behaviour, eliminations and escapism. Q: My two-year-old Lab had a seizure wherein he collapsed and was drooling excessively. We stay close to our vet and so were able to rush him to the clinic. Please advice. Dr KG Umesh: A seizure (also called a convulsion or a fit) is caused by excessive, disorganised electrical brain activity that is not consciously controllable. For example, epilepsy is one of many medical conditions that can cause seizures. There are numerous potential causes of seizures in dogs broadly grouped, the causes of seizures include problems that are confined to the brain (intracranial causes) and generalised problems affecting the whole body, for which the ‘weak link,’ or point through which the symptoms first manifest, is the brain (extracranial causes). Your veterinarian will perform a thorough physical and neurological exam and take a complete medical history and ask information on your pet’s age when you noticed the first episode, the frequency of seizures, vaccination and medication history, nutrition, any potentially toxic substances in the household, and any traumatic events. Additionally, he may suggest blood and urine tests and radiographs if required. Occasionally, specialised, advanced radiology tests such as magnetic resonance imaging (MRI) and computed tomography (CT) of the skull may be required. A dog or cat diagnosed with a seizure disorder may require lifelong medication, depending on the actual underlying disorder causing the seizures. The goal of treatment is to find the cause of seizures and eliminate it. If a specific cause cannot be determined, oral anticonvulsant medication can be given to help reduce the number, frequency, and length of seizures. Seizures may continue to occur despite medication, and in these cases, recheck visits are important to make sure that the medication doses are adequate and if necessary, change medications. Therefore, with proper medical attention, a good quality of life is possible with many or most pets with seizures. Is your dog jumping on people? My Buddy’s First Love is: None other than me. My Buddy’s Character Certificate Will Say: Very naughty outside but loving inside! List of activities we like doing the most: Playing and going for a walk. What we indulge on Sundays: Sitting inside the A/C room and eating ice-cream.